In the middle of the 2008 season, David Ross was cut by the Cincinnati Reds and thought that his professional baseball career may be over. He eventually signed to be a third-string catcher with the Boston Red Sox put played sparingly for the remainder of the season. After the team lost in the 2008 American League Championship Series, General Manager Theo Epstein told Ross that he had heard some rumours that the catcher was a bad teammate but added that he had not found this to be the case in Boston. Ross was concerned about his reputation: as a free agent and a marginal player, his options would be limited if teams believed that he was a “clubhouse cancer.” Determined to rehabilitate his image, Ross decided to bring more energy and enthusiasm. He would watch each pitch intently, interact with coaches during games and attend pregame strategy sessions. He mentored younger players but also called out mental errors, such as a rookie leaving batting practice early or a teammate who lost their patience in a critical at-bat. After four productive years in Atlanta, Ross returned to Boston and was a critical component on a World Series winning club. Two years later, he moved to the Chicago Cubs and served as a leader to their young and talented squad. In 2016, Ross was carried off the field after winning another World Series in his final game. Ross extended his career and greatly increased his impact on the game by become more accountable, to himself and his teammates. 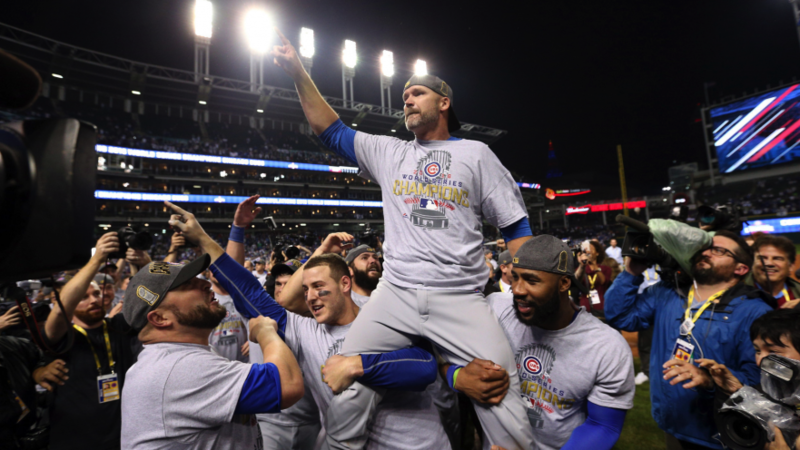 David Ross is a role model for players who wish to become better teammates. He was a journeyman player who had been in the majors for parts of five seasons without making much of an impact. Due to disagreements with manager Dusty Baker and frustrations with his lack of production, some people perceived that Ross had an attitude problem. After hearing honest feedback from Epstein, Ross took ownership of the situation and endeavoured to fix it. By undertaking a small number of actions every day, he turned his career around, earning more money, winning championships and imprinting himself in the memories of millions of fans. 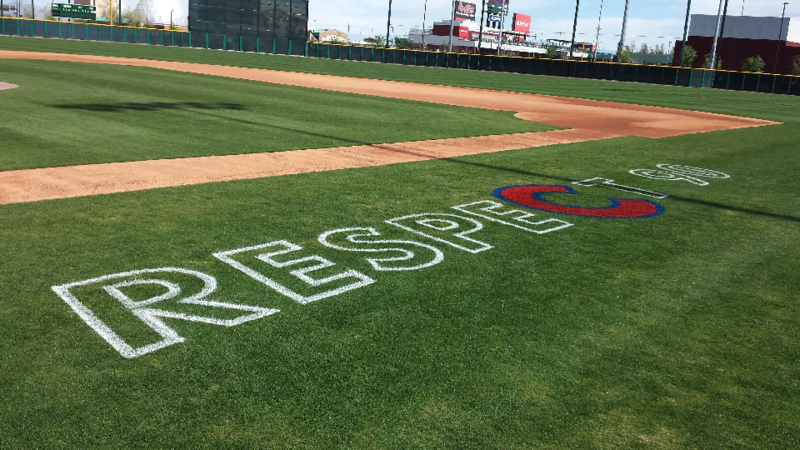 Joe Maddon paints “Respect 90” on the first base line during Spring Training to symbolize how the Cubs should hustle every play (all ninety feet). When teams are practicing, coaches need to know if it will transfer to games. The only way if it will work under pressure is if everyone is going all out. But that is hard to evaluate: truly, only players if they are making the most of each rep in a training session, skill workout or team practice. Players need to be accountable to themselves and each other. Practice and train hard because it is what the team needs to be successful in games. What if someone is not going hard? Players can call each other on their effort on the court and in the locker room. Athletes can reflect and decide what they want to address in the next session. Coaches can provide honest, objective feedback so the team needs to know what they need to do. But it’s an issue that players must fix themselves. Bobby Cox could not turn David Ross’s career around. Cox could provide guidance, but the internal motivation to reach the next level had to come from Ross himself or it would not have been sustainable. Every play and detail matters. Elite player have reached the level that they have because they sprint, play defense, pass, cheer and remain ready for forty solid minutes. Honestly, there’s no way for a coach to know whether athletes are performed the hundreds of actions during a game at full intensity but players know themselves. If someone takes a play off or doesn’t follow through on a detail, they can admonish themselves to do better or confront a teammate if they witness someone else do the same. When Willson Contreras was called up to the majors in 2016, Ross knew that he was an critical component of the team’s plans. Ross discussed how to call games with the young catcher, even though it might be detrimental to his own playing time. After a mental error on a pitch call lead to disastrous results, Ross waited a few innings before confronting Contreras and asking him about his approach during the fateful at-bat. When every team member becomes more skilled, the team becomes better. When every team member becomes grittier, the team becomes tougher. Every player should be interested in the improvement of their teammates. In a defensive drill, it is easy to pass or dribble casually but this does not help the defenders hone their abilities. In a scrimmage, it is easy to take defensive possessions off but this does not help the offense execute their sets. Players honour each other by always giving their best. A person cannot demand something from someone else if they are not willing to do it themselves. Ross couldn’t critique pitch selection if he wasn’t monitoring every play and thinking about how to help his team win. He couldn’t discuss a teammate who did not use a two-strike approach if he did not take every plate appearance seriously. He couldn’t challenge recent call-ups who were hanging out in the clubhouse if he was not engaged in the game at all times. Once Ross modelled the way, he could become a more vocal leader. The other Cubs knew that Ross made them better so and they were very thankful. Jason Heyward paid for Ross and his family to stay in a suite on the road because of the guidance he was given when he first entered the league. Ross might have been tough on them but the team realized how much he helped them achieve their goals. The rest of the Cubs carried Ross of the field after they won the World Series as a tribute. Other smaller gestures included how Anthony Rizzo listened attentively, even when Ross was giving him difficult feedback and Jon Lester asking the team to acquire the catcher because Ross made him a definite ace. Players shouldn’t settle for the status quo. Select some small actions and perform them consistently. Ross didn’t focus on hitting more home runs or becoming a starter, he emphasized little things that he could control. He evaluated whether he was positive with teammates or engaged throughout the game and demanded a high standard from himself. Many of these smaller tasks went unnoticed but Ross knew and that’s what mattered. Following through on this process, he achieved the success that he had been seeking all along. Ross, David, and Don Yaeger. Teammate: My Journey in Baseball and a World Series for the Ages. Hachette Books, 2018.